Several years ago I went on a “ladies only” weekend with six friends to a cabin that one of them owned in the mountains. We got along well and had a lot of fun together. But I noticed one very interesting thing over the course of the 3 days. A few of us consistently pitched in to help clean up the dishes after a meal, while others were content to sit around and watch. I found it curious that the thought never seemed to cross their minds about making a contribution or doing their fair share. We were all about the same age and from similar economic backgrounds, so it wasn't a difference in generations or finances. I’m pretty sure I know one key reason, based on other situations I've witnessed over the years. It’s rooted in the development of a strong work ethic in childhood. Think back to your own childhood. 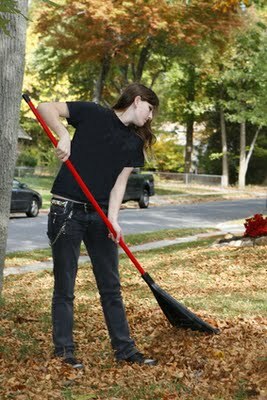 What kinds of chores were you required to do when you were growing up? In my family, I was the #2 daughter with four younger brothers. My sister and I were given regular chores from the time we were very young. As our brothers got older, they had their jobs, too. The complexity of our tasks increased as we got older, but we always understood that we were expected to do our part as members of the family. We were encouraged to babysit and have paper routes to earn money. My parents did not hand out money to us, throw us lavish birthday parties or buy us things just because we wanted them. Each one of us developed a strong work ethic because of the tone and expectations my parents set. Parents need to instill in their children at a very early age the idea that they are not the center of the universe. They are part of a larger entity – the family – and everyone needs to be a contributor at whatever level is appropriate for their age. It’s important to gradually give more responsibilities as kids get older. The idea is, by the time they reach adulthood, they are prepared to support themselves, live independently and contribute to society at large. Initiative - They see what needs to be done and do it without being asked. Effort - They’re willing to work hard, giving the best they have. Responsibility - They “own” certain tasks or jobs – e.g., washing dishes, taking out the trash, or cleaning the bathrooms. Accountability - They know there will be consequences if they don’t do what they’re supposed to do. Parents who don’t make time to teach their children these strengths do them a serious disservice. These kids are not ready to be responsible, independent adults. Children will not automatically acquire a strong work ethic.It takes conscious effort and work on the part of their parents. A Strong Work Ethic – Prepare Your Child for the Challenges of Life. If you’re a parent who’s committed to making sure that your child grows up to be an independent, responsible adult, this episode is one you will not want to miss. Good points, Meredith. Your post brings an old saying to mind: "Children learn what they live." My parents made sure that I learned the value of a strong work ethic. I had my own chores, yes. But, mainly, learned by watching them work hard every day.